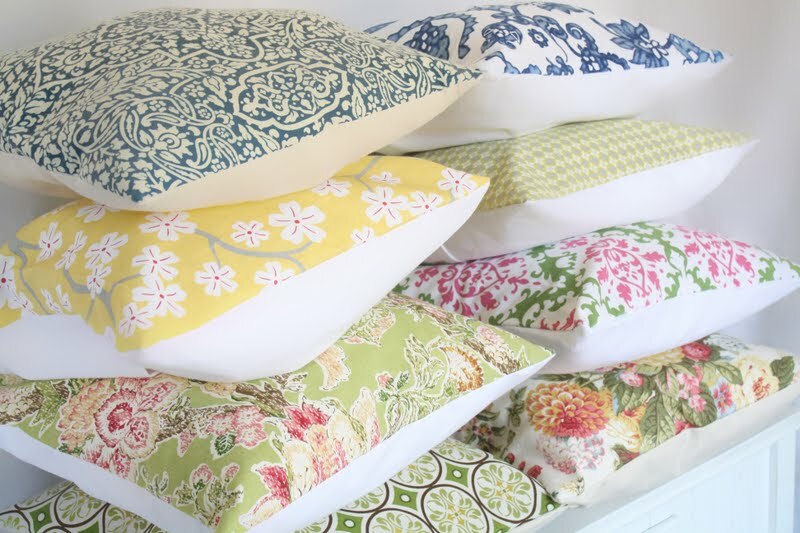 Ten June: Giveaway: Pillows from the Lacey Placey!! As promised, I'm back with another kickin' giveaway! A few weeks ago, I stumbled upon Lacey's Etsy shop and I immediately fell in love. So fresh and fun, aren't they?! And lucky us, Lacey is giving away a pillow from her shop to a Ten June reader. Here she is with some details on her, her shop and the giveaway. Take it away, Lacey! I am a 25 year old stay at home mom of 2 little boys (2 and 5 months old)! I LOVE bright fun colors and fabrics that you can't just pick up at your local fabric store! I love pillows and how they can instantly change the feel of any room. I like using pillow covers because I can change them out with each season and it makes it easy to mix and match old fabrics with new ones! I keep 18x18's stocked and ready to ship. But I also do custom covers in every size including shams. I try to stay stocked up on all fabrics so if you see a fabric you like just convo me or email me at Thelaceyplacey@gmail.com and I can create a listing for you in ONE yard increments. I absolutely love having The Lacey Placey and being able to meet great people from all over the world through the selling of pillows! I am proud to say all pillow covers are only $14.50 and 10% of all profits go to CHARITY! I hope you'll stop by and take a look around! And please feel free to email me or convo me on Etsy with any questions or feedback! ALSO: CHECK BACK IN FALL FOR NEW FALL,WARM, RICH PILLOW COVERS! 1) One entry for "liking" Lacey's Facebook Fan Page. 2) One entry for following Lacey's blog. 3) One entry for favoriting Lacey's Etsy shop on Etsy. 4) One entry for posting about the giveaway on your blog or Tweeting about it (link up to @tenjuneblog). 5) One entry for stopping by Lacey's Facebook page to tell her which pillow is your favorite! I'll leave the giveaway open until noon on Friday, July 1. I'll announce the winner Friday afternoon! I would love to give TEN JUNE BLOG readers a special discount! I follow your blog...Lacey Placey is my new favorite on etsy...I "tweeted" you....So call me an over achiever? But I'd love some extra color on my couch with some fresh new pillows! 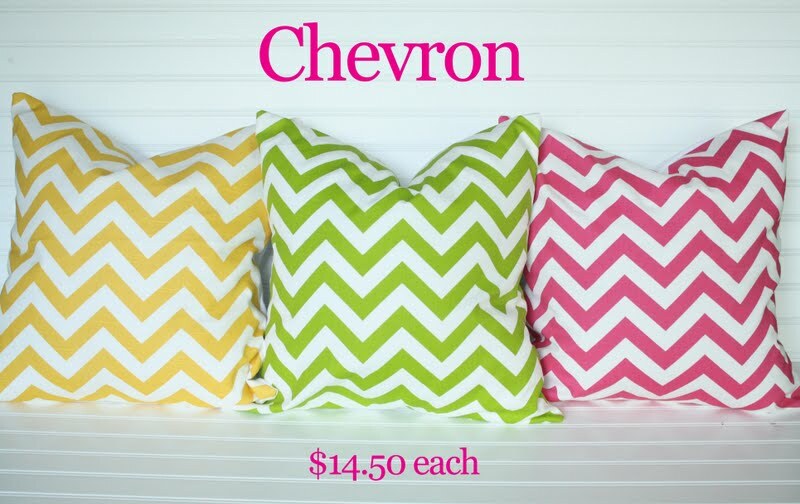 I liked her on FB...and I am in LOVE with the Chevron pillows!! Love love love! And, I tweeted about it! I also added her to my favs on Etsy. What would I do without that place? LOVING her Etsy shop! Liked her FB page. Now following her blog! She is so pretty! Added her Etsy shop to my favorites! No way, I walked away from reading this post...grabbed my most recent issue of BHG...and the feature in the decorating section had pillows that are a total match up to Lacey's. I thought for sure they were from her shop! I'm a new follower of Lacey Placey! I "LIKE" the Lacey Placey Facebook page!!! I am a "FOLLOWER" of the Lacey Placey Blog!!! I have added the Lacey Placey shop to my favorites on ETSY!! I dropped by her FB page to tell her I heart her Pink Chevron pillows!!! I follow her blog now! I favorited Lacey Placey on Etsy! LIked it on FB, too! I also left a comment on her fb wall telling her which pillow is my favorite. I "TWEEETED" about this giveaway!! Added her shop to my favorites on etsy. I liked Lacey Placey on Facebook! I love her site! Beautiful pillows! I am a blog follower, Etsy Fav and Like on facebook! I LOVE. I want. I follow you. duh.and i liked her on fb. I made Lacey's Etsy shop a favorite: warp65 is my etsy name. I'm already a fan of Lacey Placey on FB. I already follow Lacey's blog. She's already a favorite of mine on Etsy. I am new to follower to her adorable blog! I have added her as one of my favorite shops on Etsy! I'm following the Lacy blog! I favorited the Lacy Placy shop on Etsy! Just wrote on FB my pick! I added her etsy shop to my Favs! Beautiful giveaway! Thanks so much for sharing! Hi Michelle - I just posted about this lovely giveaway from you and Lacey on my blog! I like Lacey on FB! My favorite pillow isn't in her shop any more, but is in the third photo of this post, left stack, blue one on the top! Is it coming back anytime soon? Added her shop as an etsy favorite! 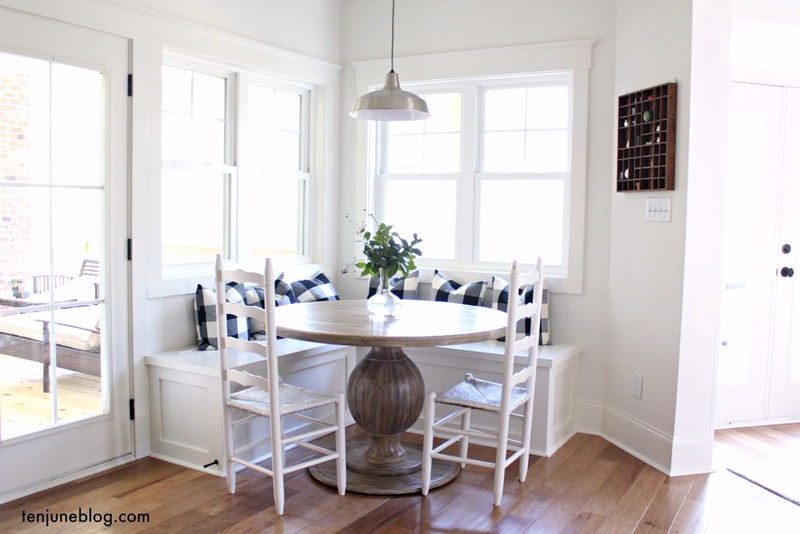 I'm following Lacey's blog and loving everything that I'm seeing! I now follow Lacey's blog. Made a comment about my fav pillow on FB!! Lacy is now in my favorites on Etsy!!! I am a follower of your blog (and Lacey's)....and I love the tropical floral pillow. Too cute. I did all 5 things. 2) Now following Lacey's blog. 3) Just favorited Lacey's Etsy shop on Etsy. Hope I win. I love these pillows. So much that I made sure to do all 5 things. I'm now a follower of her blog, glad I found it! Also wrote that I loved the pink damask pillow! Love your blog and have followed for quite some time! Followed her facebook page because I love her pillows! Followed her blog, so I can keep up with the new products! Put her etsy shop on my favorites because it will definitely be a place I shop soon! I like Lacey's fb fan page! I now follow Lacey's blog! I added Lacey's page to my favorites on etsy! I am a fan of lacey's Facebook page!! I heart her easy shop!!! My shop is called Saras Unique Boutique! I told Lacey what my fav pillow pattern was by leaving a message on her facebook! I liked Lacey's facebook page! I added her etsy shop to my favorites! I LOVE her pillows, the chevron ones are amazing! I am a new follower of Lacey's Placey's blog! I follow you and now also Lacey's blog! and I just added her adorable etsy shop to my etsy favorites! I follow! Love the green chevron pillows! Thanks for the giveaway! I'm a follower! Can never have too many pillows! Following Lacey's Placey on fb, blog and etsy shop! Her pillows are gorgeous! Nice and vibrant!